We believe stunning photography doesn't have to come at a high cost. Our photography services are affordable and perfect for everyone. When you enlist us as your official Calgary photographers, every session is a boutique experience. We cater our services to your individual needs, and we know that those needs will change over time. From selecting backdrops or picking locations to determining the best poses and props, our primary concern is bringing out the best in every client. You deserve photographer in Calgary at its best. Our goal is to keep you comfortable so that your authentic personality can shine. Be the beautiful person that you are, and trust us to capture the magic that is uniquely you. We don't just work hard to make every photo session a fun and rewarding experience. We do so while offering the highest quality with the most reasonable prices possible. 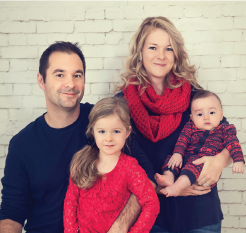 There's never a bad time to hire a professional photographer in Calgary. Allow us to capture the moment that you say, "I do." Smile lovingly into the camera while embracing your prom date. Mark each new season with a new family photo. What about a boudoir photography session to tease someone special or to celebrate an anniversary with a little spice? Give us the pleasure of forever preserving the chubby cheeks, missing teeth and angelic smiles of your babies. They're going to trade diapers for sports uniforms. Booties for heels or perhaps cleats. Professional Calgary photographers is the perfect way to remember the little things while celebrating the big milestones. Around Lucid photography we all look at becoming a wedding photographer quite seriously. We all recognize that undeniably when clients are searching to get an unbelievable Calgary based newborn photographer that cares these people desire the finest. This is exactly why continually struggle to be truly the greatest wedding photographer we can be inside Alberta. It really is our dedication to really becoming the standout that has generated us all such substantial regard here with our backbone consumers. As an unbelievable Calgary based newborn photographer that cares we in addition invariably endeavor to remember to respond to all our buyers issues with great diligence and without impatience. All of us always make an effort. We believe it's incredibly important to ensure customers feel truly recognized and of course cared for. There really are not very many wedding photographer that have the particular expertise coupled with track record to brand their service as being innovator of their business. Combine that in with our superior amount of purchaser support and we certainly feel we are the perfect unbelievable Calgary based newborn photographer that cares in Alberta. It gets going with a call. We will be pleased to discuss your current wedding photographer questions thoroughly over the telephone or through e mail if perhaps that is best for you. Next we'll advise the solution which most effective fulfils your current demands. Discover just why folks describe us as the ideal unbelievable Calgary based newborn photographer that cares! Our dedication to good quality is actually extremely substantial. In case you're endeavoring to become an unbelievable Calgary based newborn photographer that cares or an unbelievable Calgary based newborn photographer that cares, there is certainly truly not one other route but to give it your very best to exceed expectations. If perhaps a specific customer calls for further care, we all grant that valued purchaser further effort. Almost anything in order to be certain they are ecstatic with us as a wedding photographer. Do not forget, we do assistance virtually all of Alberta, so please email us. 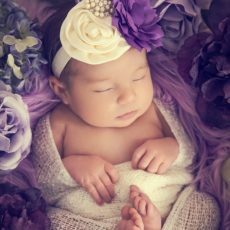 Our valued customers have occasionally referred to us as an unbelievable Calgary based newborn photographer that cares, an unbelievable Calgary based newborn photographer that cares, an unbelievable Calgary based newborn photographer that cares and the leading Alberta headquartered wedding photographer that could exist! That would not occur unless there's incredibly diligent toil along with investment in the consumers and then the high quality of your finished product. If perhaps you'll be looking to find an unbelievable Calgary based newborn photographer that cares, we all definitely feel we are truly the most effective solution. Simply call Lucid photography to speak about your needs now! 4039262005. With virtually any marketplace, knowledge is often a significant component with regards to success. When you will be looking for an unbelievable Calgary based newborn photographer that cares, well then this point can be more accurate. With being a wedding photographer, we can certainly explain to anyone undeniably that the final result is undeniably decided through the experience of the business that you have been contracting. The excessively substantial degree of expertise that Lucid photography offers as an unbelievable Calgary based newborn photographer that cares, is actually exactly why a person really should entrust us for your important critical requirements. In case you happen to be browsing for an unbelievable Calgary based newborn photographer that cares, check out Lucid photography. Remember to communicate with all of us immediately. Make Contact Now for a No Cost Appointment! We refused to get out-priced. Just don't pay high rates only because you neglected to consult with us. Sure you were given an incredible quote ? You should be absolutely utterly certain? Consult with any of us. You might simply find that we are in truth the better quote. Countless clientele have in the past. Determining exactly which wedding photographer to work with is a time-consuming decision. Choose the best selection. You should meet with us with no commitments to ascertain for yourself if we will be the perfect wedding photographer for your situation.